The article below is a feature from the OVPAA website. 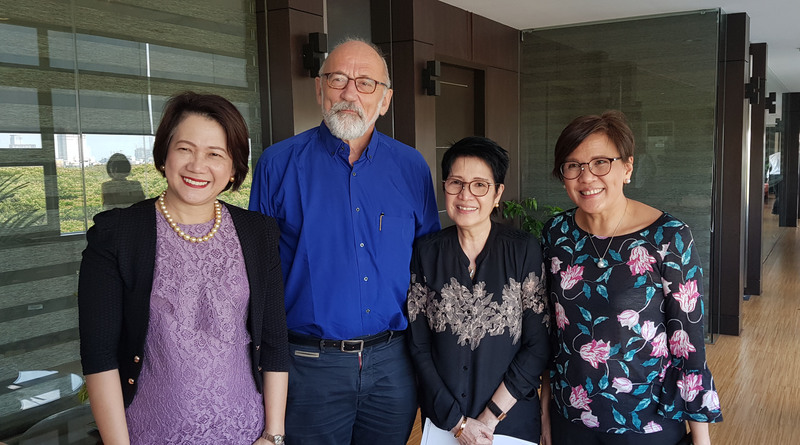 Dr. Eva Maria Cutiongco-dela Paz (NIH Director and PGC Project Leader) has initially met Dr. Gerard Pals at a conference in Jakarta, Indonesia. After discussions about a possible collaboration, Dr. dela Paz invited Dr. Pals and arranged his visit to PGC. Pals was a professor in molecular genetics at Wayne State University and consulting scientist at Henry Ford Hospital. He was responsible for the establishment of DNA and protein diagnostics at VU University Medical Center in Amsterdam.